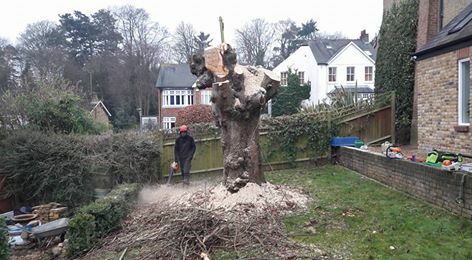 Horse chestnut (Aesculus hippocastanum) this tree had to be removed due to being colonised by Honey fungus. 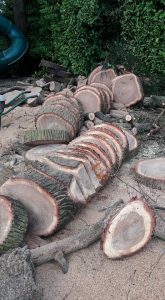 Honey fungus is the common name given to several different species of fungi (Armillaria) that attack and kill the roots of many woody and perennial plants. 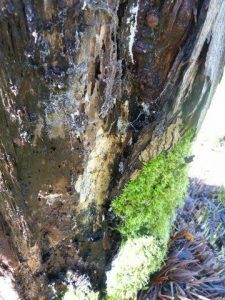 The most characteristic symptom of honey fungus is white fungal growth between the bark and wood usually at ground level. 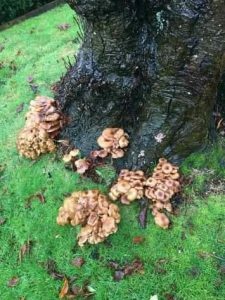 Clumps of honey coloured toadstools sometimes appear briefly on infected stumps in the autumn. 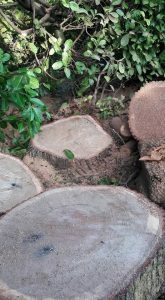 Trees that have been colonised become vulnerable to windthrow and need to be dealt with quickly to eliminate the dangers and stop the spread of the pathogen. 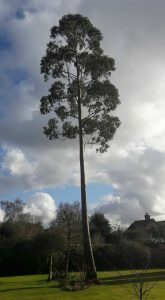 Little Eucalyptus dismantle and grind in the afternoon sunshine. 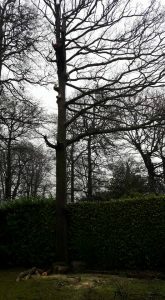 Unfortunately for the tree the root plate had begun to slip, also bacterial and dysfunctional wood was noted at the base of the stem. 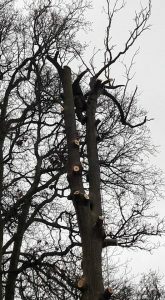 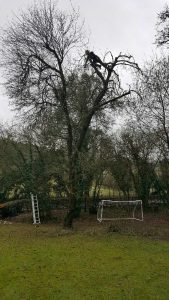 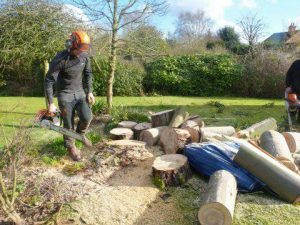 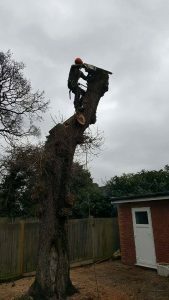 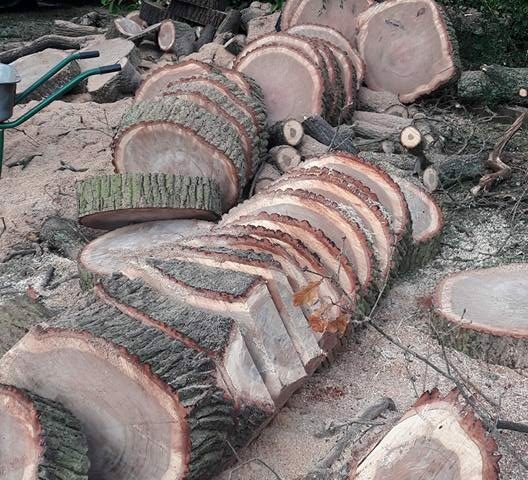 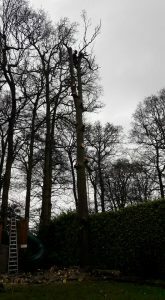 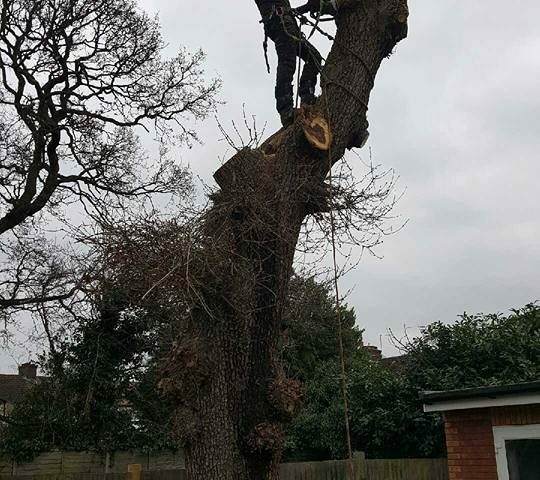 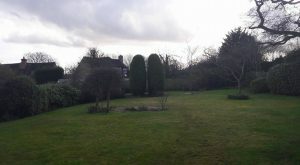 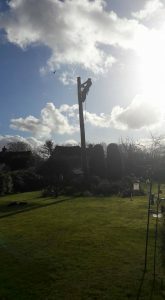 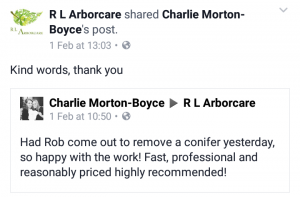 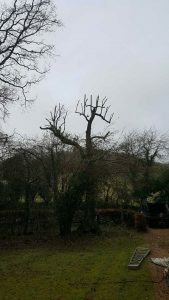 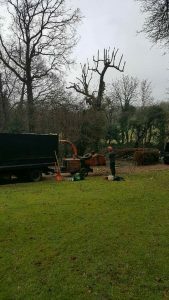 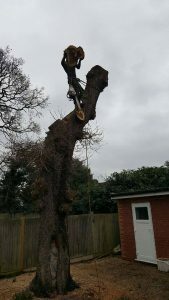 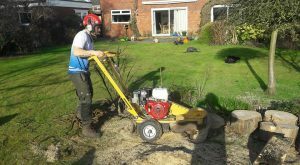 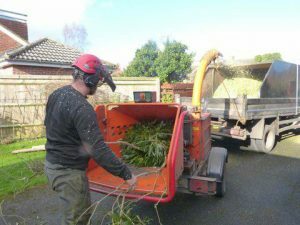 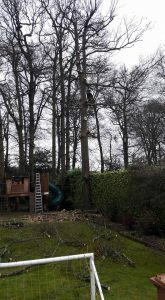 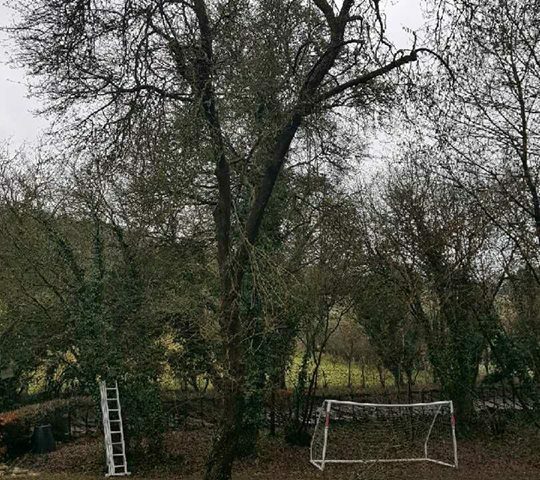 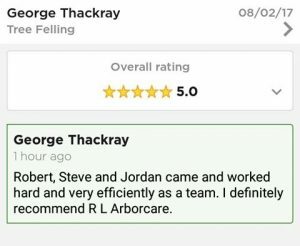 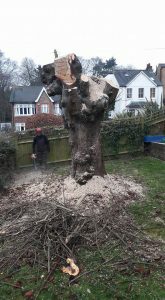 With limited future and the risk of tree failure our client preferred not to take any chances and remove the tree. 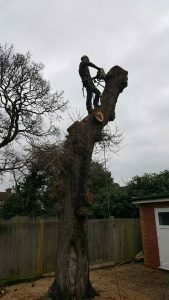 Taking down an old and unstable Oak tree stem piece by piece. 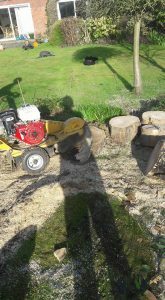 Patio all around the base of the tree the logs were thrown onto the grass area. 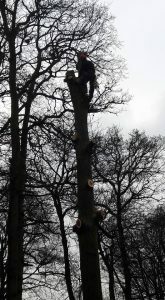 Field maple (Acer campestre) reduction in progress, not visible from this photo but this tree had alot of dysfunctional wood at the base.